Nancy Pearl has a rule of 50: if you are fifty pages into a book and do not love it, close it and move on. She's right, really. There are too many books in the world to spend hours on something that isn't just right for you. You know, after all, that something out there is. The Memory Palace just... wasn't. I made it well past 50 pages, not abandoning it until page 150 or so, but at that point I managed to close the book and walk away guilt-free. It wasn't bad, but it also wasn't good. I certainly didn't hate it, but I was not in love. And with so many, many books out there, I just couldn't justify the last 100 pages. I've been working 50-60 hour workweeks, and by the time I get home, my brain is so fried I want nothing more than crappy television and bed. In light of my more limited reading time, my books must grab me, move me, make me want to abandon sleep and responsibilities in light of wanting to read more, learn more, know more. 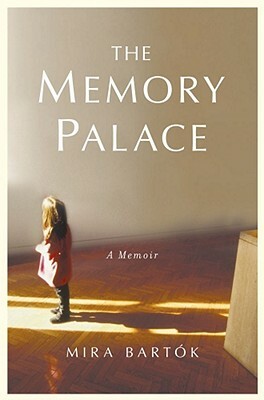 So while I wouldn't turn readers away from The Memory Palace - it is, after all, well-written and relatively engaging - I also wouldn't spend 300 pages on it. Make of that what you will. This is only a pseudo-review, after all. I'm too braindead for anything more. Note: Many thanks to the publisher for a review copy of this title. What do you think turned you off about it? I'm such a completionist. I have to finish every book I start and read every book in a series once I start it. Getting halfway through and stopping would drive me nuts. You would need a lot of time to finish reading it, & it would have to be good.